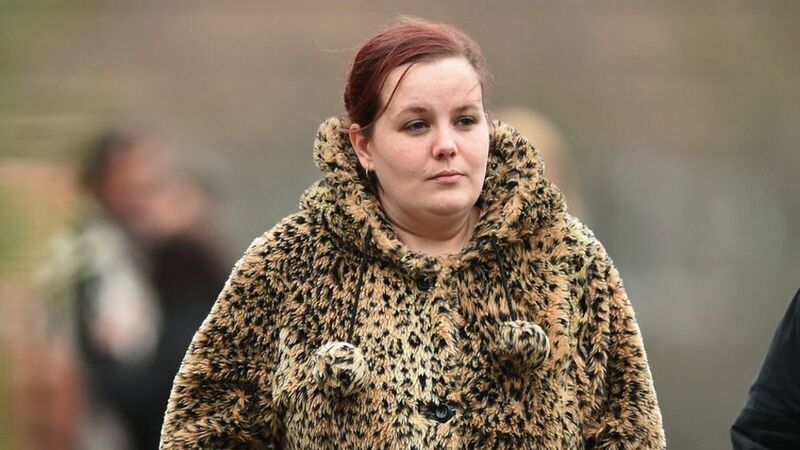 A mother who falsely claimed a Primark security guard snatched her baby from her while she was breastfeeding has been given a suspended jail sentence. 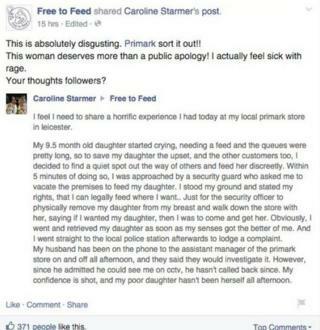 Caroline Starmer’s lies made national headlines, but she was charged by police after Primark checked the CCTV from the Leicester store. The 28-year-old admitted intending to pervert the course of justice at a previous court hearing. She was given an eight-month sentence, suspended for two years. 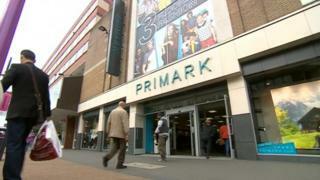 Has the Primark case damaged the breastfeeding movement? Starmer, of Marshall Street, Leicester, made the false allegation on the Facebook page of a campaign group called Free to Feed, which supports breastfeeding in public. She was interviewed by the Leicester Mercury and the story was then picked up by the national press. Starmer’s defence said she lied because an unnamed friend persuaded her to do it to make money. Judge Simon Hammond said she had avoided jail “by a whisker”. “She has done a gross disservice to the many mothers who are breastfeeding and rely on shops and other public facilities to allow them to breastfeed their babies in privacy and dignity,” he said. 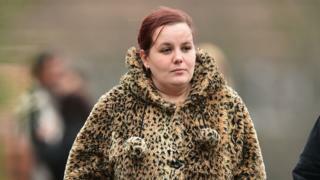 The court heard that Starmer visited the Primark store on 13 July with her twins, then aged nine months. She went to the children’s clothing section where she sat and started to breastfeed one baby, paid for her shopping and left the store. That same day, Starmer phoned her husband and said that while she had been feeding, a security guard had told her to stop and “ripped the baby from her breast”. She repeated these false claims on Facebook and to the press. The Facebook post was shared more than 5,000 times and the story featured in news bulletins as far afield as Japan and New Zealand, prosecutor Tina Dempster told the court. When Starmer repeated the allegation to police she said the security guard in question was Asian. Leicester Crown Court heard there was only one Asian security guard on duty in the store that day and the allegations caused him “great stress and upset” until he was exonerated of any wrongdoing. Primark reviewed the CCTV footage and spoke to the security guards who had been on duty, and they found no evidence that Starmer had even been approached by anyone. The company said in a statement: “The company wishes to thank its staff for their patience and understanding through this process. “We are pleased to have the opportunity to confirm that Primark will continue to work hard to ensure that all of our customers have a comfortable and enjoyable experience in our stores. The court heard Starmer has had 17 miscarriages and suffers from mental health issues. 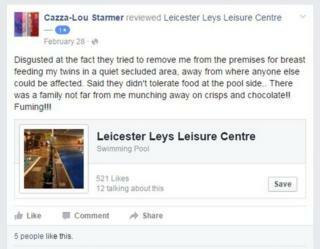 She had previously made a similar allegation on Facebook about a leisure centre in Leicester. However, Leicester City Council told the BBC that a breastfeeding mother would never be asked to leave any of its premises. Janine Smith, chief crown prosecutor for CPS East Midlands, said: “To make an allegation that someone has committed a criminal offence is a very serious matter.